On the face of it, one would expect The Collectables to make a big splash on the iOS marketplace. A high-end visual treat from proven developers Crytek built in partnership with mobile powerhouse DeNA. 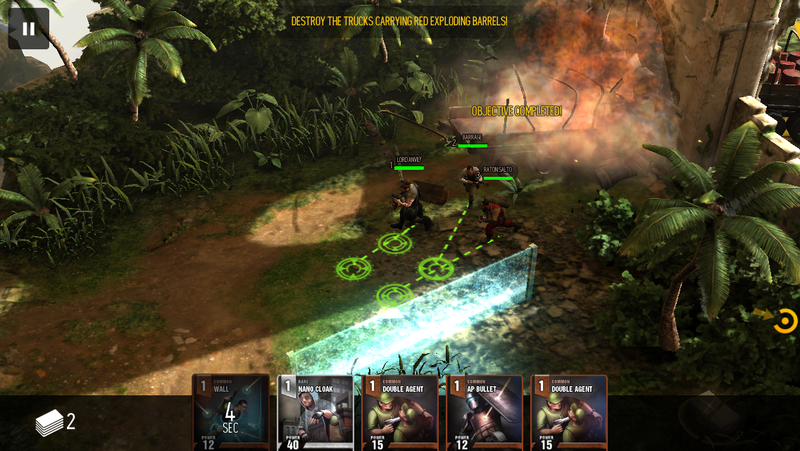 A core-gamer targeting, squad based RTS with a collectable card meta-structure. A feature by Apple upon release. These all sound like the ingredients for success. Yet at the time of writing, the game has failed to crack the top 200 grossing for iPhone or iPad in the US. This analysis seeks to identify issues with the design of The Collectables that contribute to its weak monetization and propose solutions to issues identified. This analysis is based on 4 hours of play of The Collectables on iPad, spread out over two days. As the game uses a structure of rewarding the player for repeat wins on a level with progressive rewards, I played each level 5 times to get the maximum reward before moving on to the next. I spent my gold bar premium currency only at the very end of my 4 hour session, and only to see what the experience was like. As a player, I did not feel compulsion or need to buy additional card packs during my session.